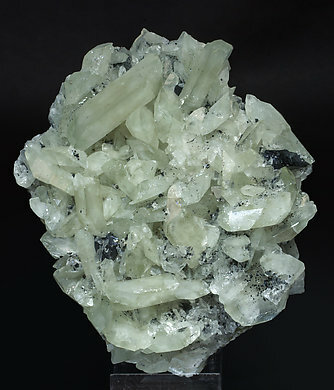 Group of well formed and bright crystals with the typical soft green color of the samples from this locality. Relatively plentiful the last decade of the past century, specimens from Errigoiti are actually quite scarce today. Very uncommon locality not well represented in collections. 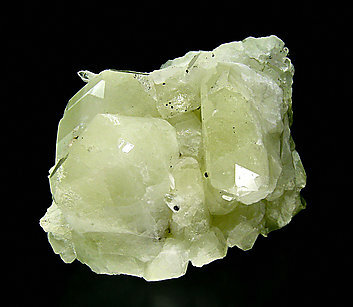 Group of well defined Datolite crystals, with a light green color and good luster for the species. The specimen was from the former Scott J. Williams collection and we’ll send this label, which contains some handwritten notes from Mr. Folch, to the buyer. 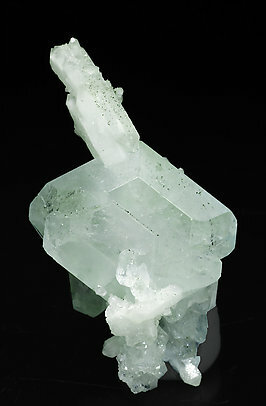 Datolite with an excellent crystallization from a very unusual locality, classic for the mineralogy of the United Kingdom, but whose specimens are today practically impossible to find. 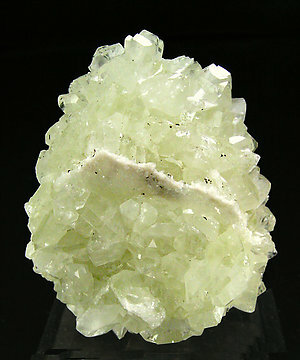 Group of well defined Datolite crystals, very rich in faces, with a light green color and huge size for the locality, a classic for the species. The crystal is very well defined and has excellent color. The contrast with the small crystals of pink Calcite adds balance. 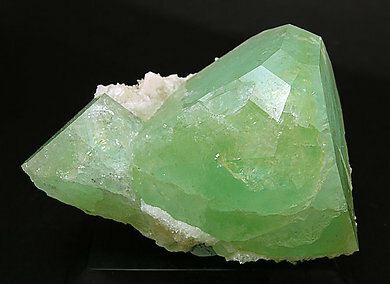 Group of crystals with very sharp faces and edges of green color deeper than usual on the samples from this locality, classic for the species. On the surface of Datolite there are small crystals of Chalcopyrite. 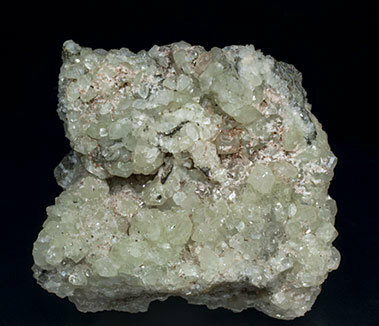 Very well defined Datolite crystals, translucent, very bright, with an intense and uniform green color, partially coated by small Fluorapophyllite-(K) crystals and on a matrix very rich in garnet, probably Grossular. 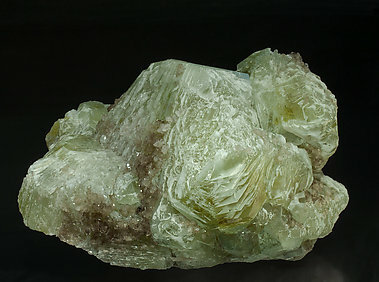 Group of flattened Datolite crystals that are bright, translucent, have a uniform clear green color and are with black and very bright Ilvaite crystals. A Russian classic. 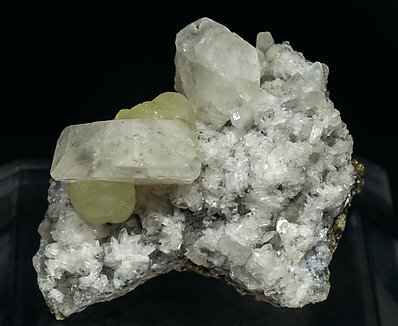 Two very sharp and aerial Datolite crystals, almost complete, translucent, very bright and on matrix with Stilbite-Ca and spherulitic Prehnite growths. An old American classic. Aggregate of equant Datolite crystals with very well defined faces and edges. 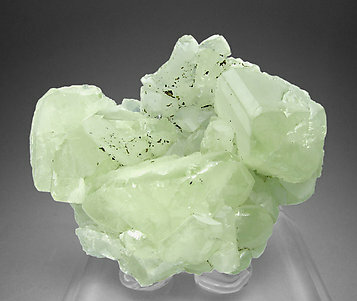 They are translucent, very bright and partially coated by clear Quartz crystals. It is an old sample from the Richard Shupe collection (cat. nr. 6374) to whom we sold it in the past and whose label we’ll send to the buyer. 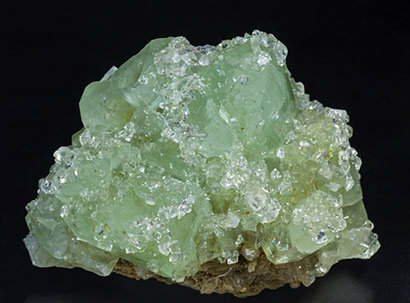 Group of transparent crystals of Datolite with very well defined faces and edges, with extraordinary luster and transparency, light green color with slightly bluish reflections. 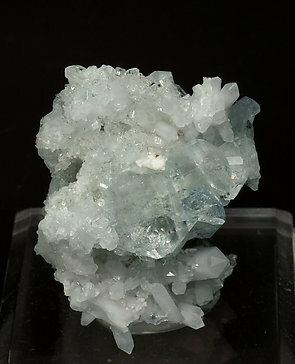 They are on a matrix of white crystals of Quartz, some of them doubly terminated. 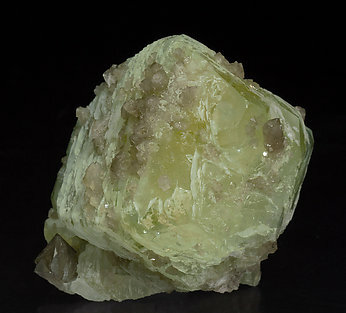 Partially doubly terminated short prismatic crystal of Datolite, bright and with a clear green color and fine striations, perpendicular to the main axis due to the geometrical insertion of completely flat crystals of smoky Quartz, also present as well developed small and doubly terminated crystals. 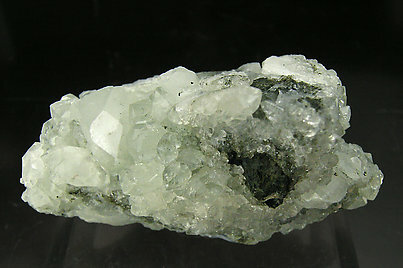 Group of doubly terminated crystals, one of them clearly dominant, with very well defined faces and edges, on a group of white crystals of Quartz, a lot of them doubly terminated. 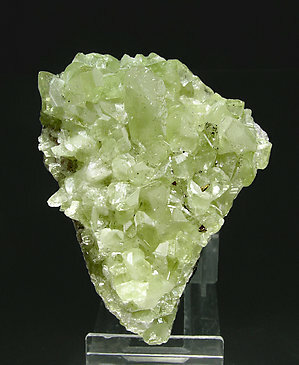 The crystals of Datolite, translucent and bright, have the clear green color typical of most of the samples from Dalnegorsk. Group of equant Datolite crystals partially coated by smoky Quartz crystals. They are bright, have a clear green color and fine parallel striations, perpendicular to the main axis, due to former flat crystals of Quartz already dissolved. 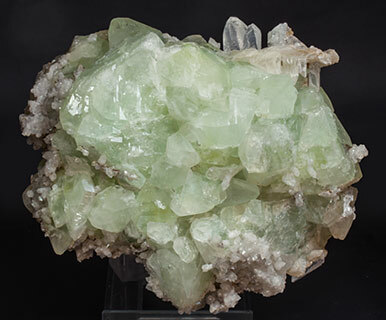 Group of well defined, bright crystals of good color with fibrous aggregates of Pectolite on the back of the piece. It is from a classic American locality. The sample is with the label of John S. Albanese, (Union, New Jersey) that we'll send to the buyer. Aggregates of short and flattened Datolite crystals with very well defined faces and edges. 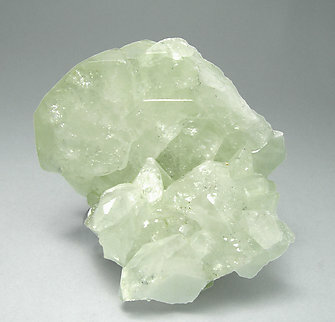 They are translucent, very bright, and with a pale green color and are on matrix and partially coated by small, white, laminar and clear Stilbite-Ca crystals. An American classic.